Kaposi's sarcoma of the lung. 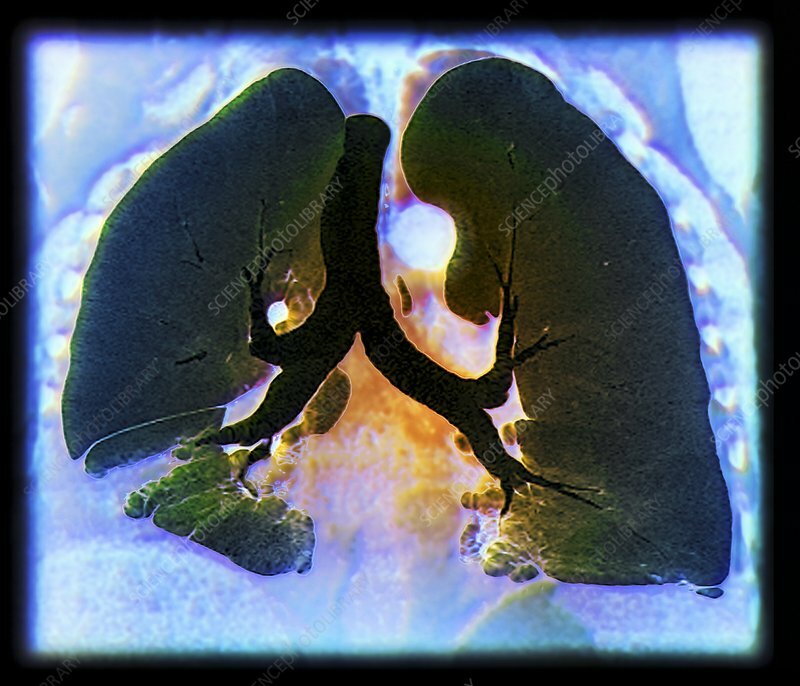 Coloured computed tomography (CT) scan of a section through the chest of a 55-year-old AIDS (acquired immune deficiency syndrome) patient with Kaposi's sarcoma affecting the visceral pleura (membranes) of the lungs. AIDS is caused by the human immunodeficiency virus (HIV). It causes a gradual weakening of the immune system, making otherwise harmless infections life-threatening. Kaposi's sarcoma is a relatively rare malignant (cancerous) skin tumour. In AIDS it often spreads (metastasises) to other tissues (as seen here) and can be rapidly fatal.